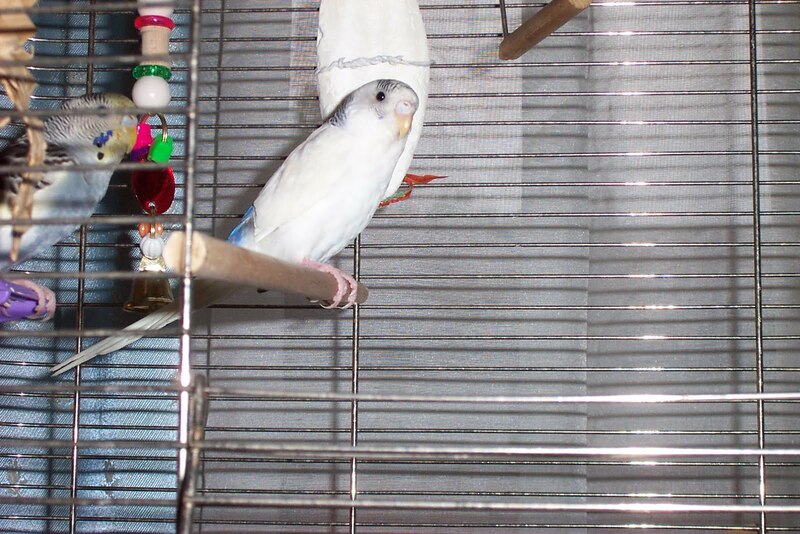 I originally adopted Dinah around May of 2004 to be a companion for another parakeet, Alice. Oddly enough, I had adopted Alice to be a companion to Anastasia, an unhappy parakeet that loathed humans. And while Alice was friendly enough, I was in college and working so I decided to get her a cage-mate. And along came Dinah. We've had our ups and downs, Dinah and I. 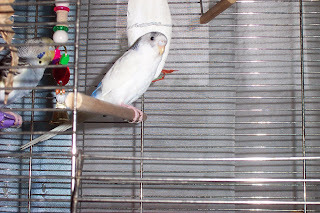 Not a strong flyer or a fan of me, she enjoyed life with a cage that was almost always open and a steady supply of pellets and toys. When I came home with Leki, life did change a little but she always had her own room away from Leki where she could relax and sing. Things really started to change when I met Chris and moved in with him. Dinah was so much happier. She sang to him, demanded to be let out to spend time with him, and even groomed him. She adored him. She even got her own away cage, which she loved to hang out in out and about in the rest of the apartment (and safe from an excitable cat). All of this makes today very sad. Dinah has passed away. The computer room is quiet and empty without her singing. Sorry to hear this Jen.